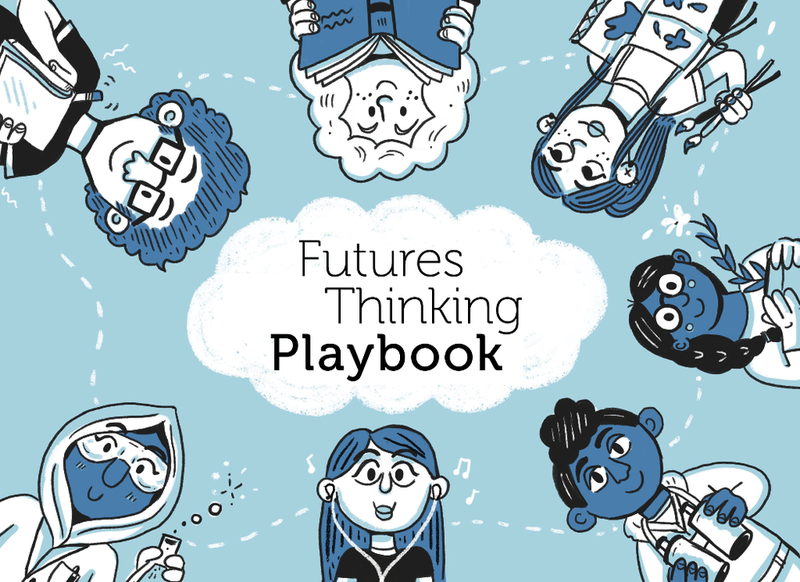 The Futures Thinking Playbook is for educators who want to introduce their students to rigorous and creative futures thinking. The book is organized into challenges and plays and guides students in understanding why thinking about the future is important, conducting futures-oriented research, creating scenarios, and identifying their preferred futures and actions to bring that might bring that future about. Educators and facilitators can use the entire playbook as a unit of study in their classrooms or as the basis of an academic enrichment program, or they can select individual modules from the playbook. Review a digital version of The Futures Thinking Playbook. Purchase The Futures Thinking Playbook on Amazon. Contact us to learn more about professional development and training using The Futures Thinking Playbook or about bulk discounts on the playbook.